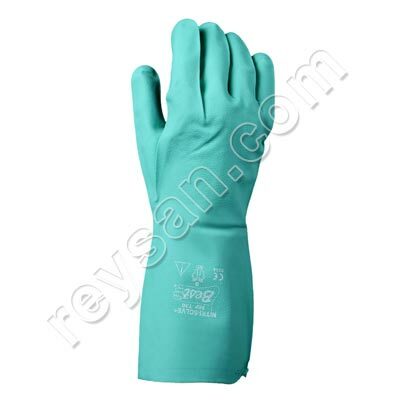 PRODUCT DESCRIPTION The Sol-Vex 37-675 glove is 38 centimeters long to protect the forearm area. Made with plush flocked material and gauntlet style on the cuff. 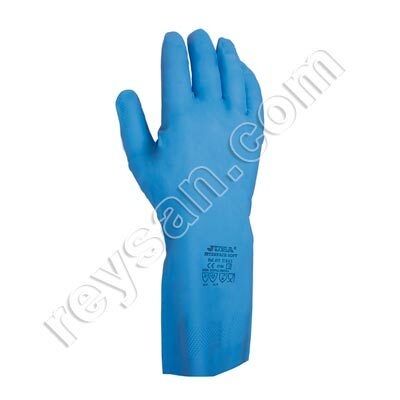 This type of Ansell work glove is indicated for the treatment and preparation of chemical products, refinery, metalworking and the petroleum, agrochemical and printing industries. The Sol-Vex 37-675 now increases its protection to 38 centimeters, while the flocked lining and the flexibility of its nitrile film ensure that they are comfortable for the user. Super results are obtained in both wet and dry environments. The surface of the glove is soft and the finish in inverted diamonds still improves the grip levels.